Crepe Fabrics with its good sheen and excellent drape are extremely beautiful and eye-catching. 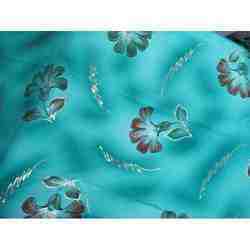 These crepe fabrics can be availed in a variety of colours, designs and patterns. Our top-notch quality range of crepe fabrics are known for their finer texture and widely used for making various types of apparels for ladies like sarees, kurtis and tops. We offer Faux Crepe- Hand Printed Fabrics that are used in the manufacturing of various dress material for girls, ladies and kids. These fabrics are highly appreciated for its softness and superior quality. Further, the dress material made by them are available in various specifications, and can also be custom made as desired by the clients. We offer an alluring range of Baby Crepe Foil Print Fabrics that are widely used in textiles and garments industries. 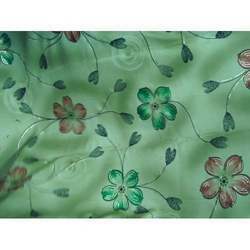 These fabrics are fabricated from best quality material that is procured from trustworthy vendors of the industries. Moreover, our range of fabrics are color fastening as well as skin friendly. Further, our range can also be designed as per clients' requirements and offered at most competitive prices. 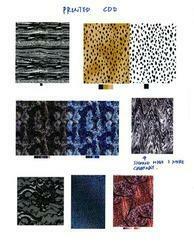 We offer Crepes Fabric Material which are manufactured from high quality fabrics. Moreover, our range of dress material are widely appreciated for its amazing, design, print and colors. Further, these are offered in superb shades and elegant patterns and are easy to maintain and are available at comprehensive rate. 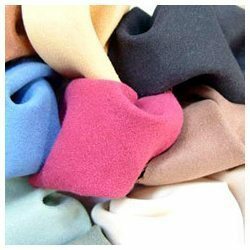 Polyester Crepe is one of the most extensively used fabrics in the Garment Industry, for making comfort and wrinkle-free garments. We offer this 100% polyester crepe fabric in various forms and counts in a wide range of GSM. Uses: Garments, Home Decors, Scarves, Etc. We offer very high quality Faux Crepe Blue Hand Printed Fabrics to our clients. 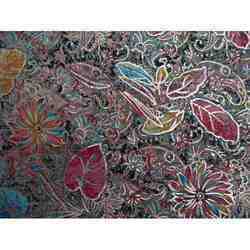 Our hand block printing services are highly exclusive and are demanded by everyone a large scale. Further, this prints are much popular as it gives taste of our Ancient Culture and are exclusively accepted worldwide. This fabric is extensively used in fashion and textile industries. Further, we offer them at industries leading prices.